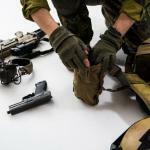 Home » Misc » Get the most out of your hunting equipment: Trail cameras for home security? The trail camera is most typically associated with hunting or wildlife photography, as it is used to scout potential hunting area and survey wild animals. It is also referred to as a game camera, due to its primary use. However, because of this, the trail camera’s multi practicality is often overlooked. Even though the security camera and wireless trail camera are different, it is still possible to have adequate surveillance of your home using the later. Here we will explore some of the main features of the trail camera, point out why it is suitable for home security as well, and finally compare it to the security camera. Bear in mind that the idea is not to prove how one is superior the other, but to exemplify how you can fully utilize your trail camera. Let’s start with a general overview of quality trail camera features. Bear in mind that the below-listed components are not necessarily included in each trail camera out there; they are more of a guideline on what you should look for when buying a quality trail camera. Regardless of whether you plan to use the camera for wildlife photography, hunting or security, having high megapixels footage is definitely a plus. More importantly, the quality of the lens has a significant impact on nighttime videos and images, so it would be wise to get a camera with 720p at least. 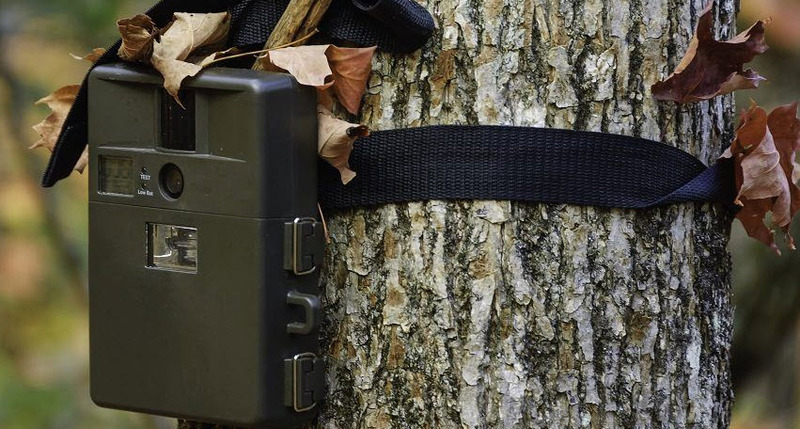 The important aspect of every wireless trail camera is camouflage, and in order for it to remain concealed, it should not use flash when capturing videos or images. No glow cameras rely on infrared flash to record videos and/or capture photos in low light or during nighttime. Basically, you get decent footage and the camera remains unnoticed at the same time. Game cameras have batteries that can last for several months. The lifespan of a battery is affected by more than one factor (like whether you use it for videos and photos, daytime vs. night time usage, who manufactured the camera etc). You can rely on users who already performed battery consumption tests, to tell what you can expect in terms of battery lifespan. Game cameras can capture footage from a variety of different angles, which really comes in handy when you are thinking about possible placement options. It would be wise though, to pick a specific area of focus, to prevent motion detector from frequently triggering the recording feature. What Makes Trail Camera the Right Tool for the Job? Now let us focus on the specific aspects of the trail camera that make it a suitable tool for the security and surveillance of your home. First and foremost, a trail camera can be easily hidden, which makes it hard for a potential perpetrator to either disable it or avoid it. Thanks to its compact size, overall design, no glow feature, and 90-degree angle coverage, it is fairly easy to make this camera undetectable. There are cameras that use WiFi, so you might have to place it within the network’s range. The game camera can stay active during the night and still provide you with decent quality footage. The motion sensor is what triggers the recording. Most of the game cameras create 10 to 90 seconds video, whenever the sensor is triggered. Another important factor here is camera range, as it can vary depending on the manufacturer. Although it is better to have a higher range camera, in the case of home security you won’t have to worry about that factor. This is probably one of the best things about game cameras as they can notify you when to act. If you want a wireless trail camera that is suitable for home surveillance then you should definitely ask for one with a cellular feature. Once motion is detected and the camera starts to record you will receive video footage on your cellphone, so the notification sound will alarm you if someone is trying to break into your home or if someone is trespassing. Another advantage of this feature is that even if someone finds and steals the camera you still receive the video. As you can see a wireless trail camera can be an excellent substitute for a security camera, thanks to the variety of built-in features. However, it is not completely the same as the home surveillance camera, so let’s see how these two are different. Another important difference is that the security cameras can record the property 24/7 which is incredibly handy if you need to remotely monitor your house while you are away. Because you have this non-stop feed, security cameras do not necessarily use batteries, they are plugged to a power supply and can stay on constantly. Finally, it is worth mentioning that CCTV camera footage is admissible in court, so if your recording of the crime being committed you can use it as evidence against the perpetrator. However, there are few legal criteria that must be met in order to make this possible, and guidelines might vary depending on the jurisdiction. There are also a few drawbacks to these cameras since potential criminals are going to be aware of which area is being monitored and under which angle. Meaning, you won’t be able to catch them off guard like you could with the trail camera. Also, if you are using these cameras at your workplace or home, employees and neighbors might get the idea you do not trust them. As you can see the trail camera is more than capable of rising up to the task of home surveillance. It does lack some of the features of home security cam, but it definitely makes sense to use it in this manner.